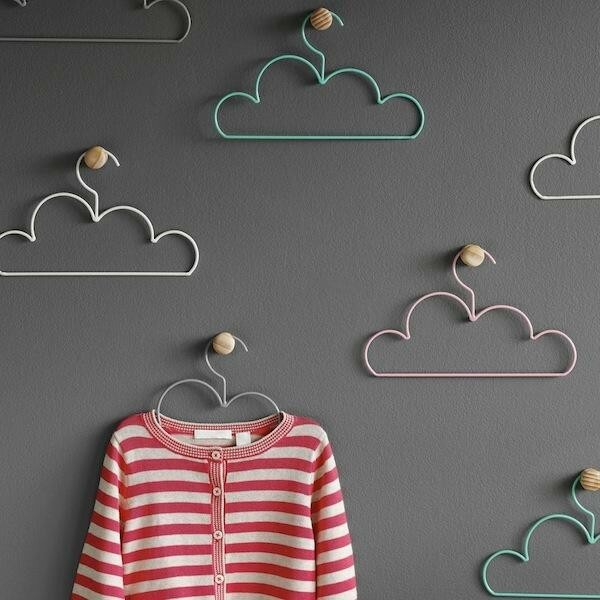 This charming cloud-shaped clothes hanger is not easy to find in common stores. The thing is that it’s a designer piece, created by Tea Pea Company from New Zealand. This lovely model blends basic functionality with an aesthetic aspect, which is not so typical for such accessories in general. Non-standard approach to design of regular household stuff can turn an ordinary attribute of our daily life into an element of décor. And if you already fell in love with this beautiful fruit of designer imagination, why not try to make it with your own hands? Step 1. 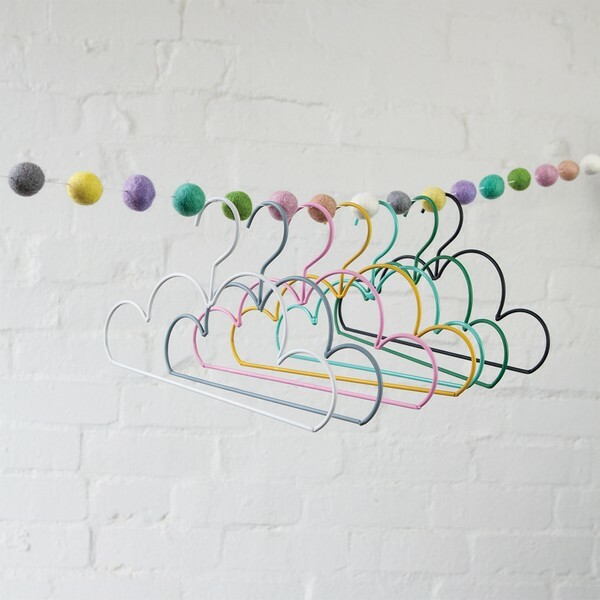 Draw a shape of a cloud on a wooden plank. Step 2. Hammer a few nails along the perimeter of the drawing. Step 3. 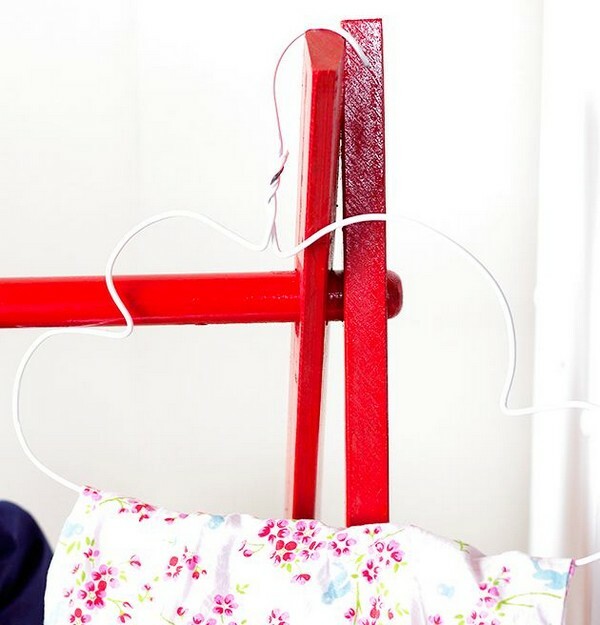 Use pliers to unlock the basic wire hanger. Step 4. 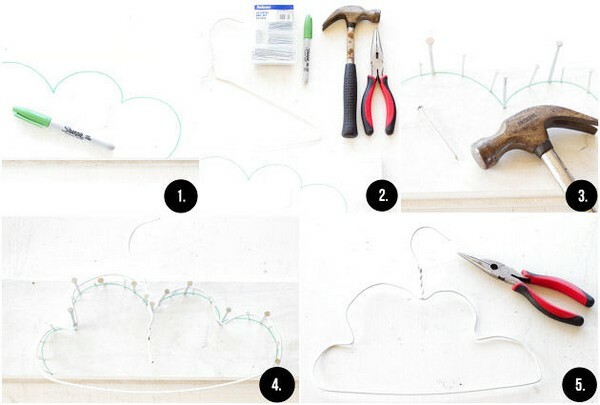 Pull the wire around the cloud outline. Step 5: Create a closed shape again, turning the end of the wire around the bottom of the hook. 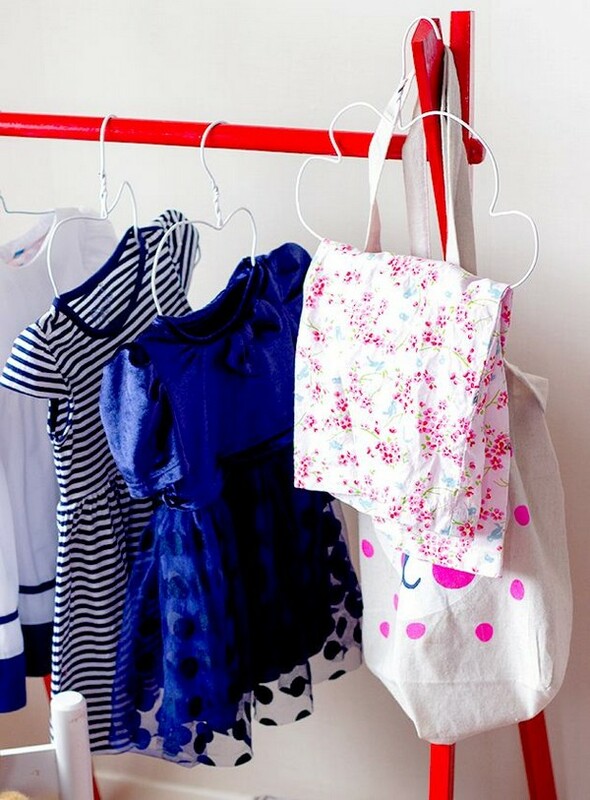 This way you can make a dozen of hangers within just one hour. 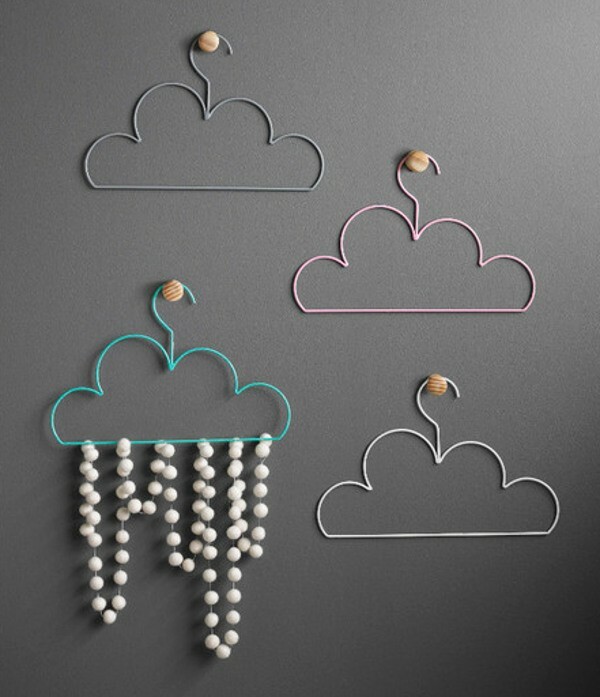 One more final tip: considering a supple nature of wire, it’s not recommended to arrange heavy clothes on such a hanger. But it would perfectly into a toddler’s closet.